The most important methods for preparing food are introduced here. usually before simmering or other cooking methods. Often done with Chinese cooking The outside gets a small membrane that will not let the taste leek out later. Usually done at 150 to 160 degrees centigrade. after frying and deep-frying. Put it in hot water for a moment to drain of the oily taste. Both sides of a food are heatet for a moment over a grill or gas flames to get rid of excess moisture and warm the food. Nori get tasty after this treatment. agebitashi あげびたし【揚（げ）浸し】first frying and then marinating in flavored broth for some time. With eggplants. Fish get softer bones when prepared like this. in Kanto, these are put into udon soup )Tanuki udon. Also put into miso soup. agedashi あげだし【揚（げ）出し】deep fried food with a batter is placed in broth, some yakumi spices are added and shredded daikon radish, to sap off the oil.
. . . CLICK here for eggplant Photos ! the vegetables are often rubbed and rolled in a special liquid. aku has an acrid, alkaline flavor. Bitter chestnuts and acorns were treated in running water for days before eating. Bamboo shoots need to be treated too, by boiling them with rice bran (komenuka). Many ferns and other sansai mountain vegetables need to be treated. 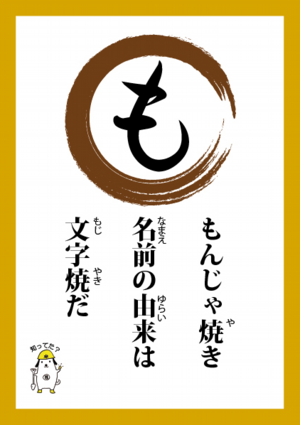 amani, ama-ni あまに【甘煮】 "sweetly simmered"
Simmering food with extra lots of sugar. Especially kabocha, sweet potatoes and beans. People in Nagasaki use a lot of sugar in the food. when the food is placed on a metal net or squeezed between two nets. to add green color for decoration. for soups : mitsuba, green leek, spinach, shungiku, mizuna, mibuna, kaiwarena. especially for vegetables with a lenght of 4 to 5 cm. The proper word would be suru する【擂る】for grinding, but this has a negative feeling to it (engi ga yokunai), so its opposite ataru あたる【当たる／中る】was choosen. kunsei 燻製 smoked food, often with cherry wood chips. Preparation with little oil or whater, simply stirring the food frequently. see ... iridoofu, iridori, iritamago. an art in itself ! This is a typical preparation for Chinese food items and some Japanese fish dishes. a traditional seiro is made of bamboo (take seiro 竹せいろ). Or you can use a metal pot and have two or more seiro to put on it. Hokke no nitsuke ... and Prime Minister Aso some politics ! aoni あおに【青煮】"simmering while keeping the green color"
mostly with salt and thin soy sauce.
. niuriya, niuri-ya 煮売屋 / 煮売り屋 / にうりや selling simmered, boiled food . inakani, inaka-ni 田舎煮 cooked food, "rural style"
vegetables boiled with soysauce and sugar, until almost all liquid is gone. Often prepared with taro. umani, uma-ni うまに　【旨煮／甘煮】 "deliciously simmered"
metal grater, oroshigane　おろしがね　（下ろし金／卸し金), comes in many shapes, some used directly at the table for wasabi etx. The lid has to be a little bit smaller than the opening of the pot or pan. Einsalzen, Einlegen in Salz (Fisch, Gemüse, Eier). Bei einigen Produkten, z.B. Weißkohl oder grünen Bohnen, tritt durch eine genau abgemessene Salzmenge Saft aus. Die darin enthaltenen Mikroorganismen bewirken eine langsame Fermentation, bei der Zucker in Säure verwandelt wird. Dabei kommt außer dem Salz noch Salpeter zum Einsatz, der die bakterienhemmende Wirkung des Salzes verstärkt. shabushabu no tare しゃぶしゃぶのタレ comes with different kinds of sauces for dipping, some are the specialities of a restaurand kept for many generations.
. tenpura てんぷら . 天婦羅 . 天麩羅 . 天ぷら Tenpura, Tempura . tenpura てんぷら . 天婦羅 . 天麩羅 . 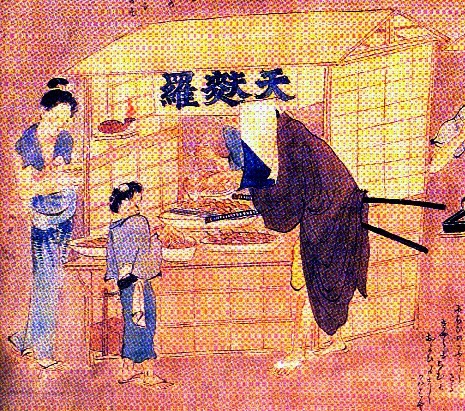 The recipe for tempura was introduced to Japan by Portuguese Jesuit missionaries particularly active in the city of Nagasaki also founded by the Portuguese, during the sixteenth century (1549). Tokugawa Ieyasu, founder and first shogun of the Tokugawa shogunate of Japan, reportedly loved tempura. Originally, tempura was a popular food eaten at street venders called 'yatai'(屋台) since the Genroku era. the coating is made with buckwheat flour. Oil from torreya nuts (kaya 榧(かや) is used for frying. This senryu tells us about the carefree behaviour of the tempura cooks. Tempura was made with some flavor on the food items, but not served with sauce as it is today. Tempura dipping sauce was introduced much later in the Meiji period.
. giboshi 擬宝珠 metai decoration of a railing . this word is used for many preparations, sometimes using oil. Aburi-yaki, Horoku-yaki, Kara-yaki, Kimi-yaki, Miso-yaki, Namban-yaki, O-kariba-yaki, Shio-yaki, Teri-yaki and many more ! for whale meat, ginger and perilla leaves are cut finely and simmered too. This method evolved in the Meiji period, when meat was eaten more frequently in Japan. A procucer of canned chicken meat, Maeda 前田道方 made it famous. In 1915 the company Meijiya 明治屋 produced canned beef. In 1923 Mitsukoshi in Nihonbashi had bargain sales of the canned meat. The Japanese army used this canned meat too. hogei 捕鯨（ほげい） catching whales became popular and much whale meat was produced for canning, also sheep, horse and deer, even bears and sea lions. But all this meet has a strong animal tast and needs long hours of simmering. See .. Kujira Ekiben from Tateyama, Chiba. tsukudani つくだに (佃煮) simmering in sweetened soy sauce, using mirin, sugar and some spices to make it a bit hot. It does not have a watery sauce and tastes quite strong. It has been used since olden times as a kind of food preserve. It started with the fisherman from Tsukuda island, who prepared the leftovers of fish in this way. They came originally from the Osaka area and Shogun Tokugawa Ieyasu settled them at Tsukuda island. Tsukudani is a speciality of Tokyo. These preparations come with different flavors for each season. Fish, shells, clams, meat, vegetables or seaweeds can be used. Tsukudani are often put into onigiri rice balls. I remember eating ants tsukudani, have to check it out. Tsukudani is a Japanese simmered dish flavored with soy sauce and sugar, and so on. It's a great side dish to serve with hot steamed rice. When you have leftover kombu from making dashi broth, try making tsukudani. Tsukudani is usually very salty, and it's good to eat on hot steamed rice. Tsukudani is small seafood, meat or seaweed that has been simmered in soy sauce and mirin. High osmotic pressure preserves the ingredients. Its name originates from Tsukudajima, the island (in present-day Chūō, Tokyo) where it was first made in the Edo period. Many kinds of tsukudani are sold. Traditionally made tsukudani is preservable and has been favored as a storable side dish in Japanese kitchen since the Edo period. „Eingekochtes von der Insel Tsukuda“. Mit gesüßter Sojasauce und Gewürzen. Tsukuda island is a low, sandy islet at the mouth of the Sumida river, which runs through the heart of Edo. Apart from a few patches of trees and small vegetable gardens, the entire island is occupied by a thriving village of fishermen and boat pilots, who make their living from the commerce of Edo Bay. This island is located in an ideal spot for people who make their living from the sea. It is located right at the mouth of the Sumida river -- the largest waterway in Edo. From here, small boats can easily make their way up the river and through the network of canals to most of the neighborhoods in downtown Edo. To the south, deep water channels extend out into Edo bay. The docks of Shiba and Tsukiji are nearby, so large boats can anchor near the island as they wait to be unloaded. The volume of goods brought into Edo is so large that no single port could possibly handle it. Although the most important cargoes are unloaded at the docks of Shiba, Tsukiji, Minato and Shinagawa, a lot of ships unload their cargoes directly onto small barges and takase-bune as they lie at anchor here, in the lee of Tsukuda island. The smaller boats then carry the goods through Edo's network of canals and waterways to small, riverside wharves, known as kashi. Because of its location, Tsukuda island is a convenient spot for barges and small boats to stop while waiting for the large ships to start unloading. The beaches are almost always crowded with small boats, and the few chaya (teahouses) on the island are filled with customers chatting, gossipping and sipping their tea as they wait. In addition to these visitors, the island is home to a thriving village of fishermen. The residents of Tsukuda island came to Edo in the mid-1600s at the request of the Shogun. Edo needed to increase the supply of fish to the city, because its population was growing too fast for the existing fishermen to keep up with demand. To convince people to leave their homes in western Japan and move to Edo, the Shogun offered them the special right to fish anywhere in Edo Bay that they want. Entire villages of fishermen accepted the offer, and moved to Edo, establishing large villages in the "Edo-mae" area, including one on Tsukuda island and one on the other side of the Sumida river, in Fukagawa. The fishermen have developed a wide variety of different nets to catch different types of fish. Triangular nets on the end of long forked poles are used to catch fish that live in the mud at the bottom o the bay, such as hirame (flatfish) or tako (octopus). Small fish that swim in schools, for example iwashi (sardines), can be caught by just one person using a throwing net. But in order to catch larger fish, like saba (mackerel) and katsuo (bonito), the fishermen have to use huge nets, and work together in a group. Sometimes they use nets that are so big, they have to work in large groups, to haul the nets back in to shore. Most of the fish can be caught right here in Edo Bay, but some of the largest types, such as maguro (tuna), can only be caught out in the open sea. Once in a while, fishing fleets will leave the bay for several days at a time to chase the huge schools of tuna. They may even attempt to catch a whale. When they are successful, these ocean expeditions can be very profitable. A big load of tuna or whale meat will bring a great price in the fishmarkets of Nihonbashi. However, fishing boats are not as well built as cargo ships; storms can blow up at any time out in the open ocean, so long trips to sea can be very risky. Even here in the Bay, life for most fishermen is difficult and dangerous. Although fishing is the traditional work of the people from Tsukuda island, many of them have now taken new professions. Because of all the ships that anchor in this area to unload their cargoes, there is always demand for experienced boat pilots, who can transport goods from the large, seagoing vessels to the canal-side markets in different parts of the city. Other people, like Gyotaro, work in the city transporting people from place to place by boat -- as a sort of a "water taxi driver". Variante der haltbaren Zubereitung durch knuspriges Einkochen in Sojasoße und Zucker. The animal is about 3 cm long. Its long hind legs help it to jump well, but it does not sing in autumn. To catch the animal was not not only done to clear the rice paddies of an unwanted eater, but also to prepare the delicious tsukudani for the farmers, since it contains a lot of fat and protein. Grashoppers are also eaten in other parts of the world. Insects as human food ... a chapter of its own! Shiokara (塩辛) is a food in Japanese cuisine made from various marine animals that consists of small pieces of the animal's meat in a brown viscous paste of the animal's heavily salted, fermented viscera. The raw viscera are mixed with about 10% salt, 30% malted rice, packed in a closed container, and fermented for up to a month. Shiokara is sold in glass or plastic containers. The flavor is quite strong and is considered something of an acquired taste even for the native Japanese palate. The taste of shiokara lingers in the mouth. One method of enjoying it is to consume the serving at one gulp and to follow it with a shot of straight whisky. Some bars in Japan specialize in shiokara. fermented fish paste, sometimes yuzu citron is added. Shiokara refers to the salted and fermented flesh, internal organs, eggs and the like of sea animals. The most popular shiokara in Japan is from squid. People eat it as a side dish and snacks to go with alcoholic beverages, but some people do not like it at all. "Konowata," considered to be one of the top three delicacies in Japan, is made with the intestines of sea cucumbers. Shiokara is made from squid or the guts of skipjack and other species. The internal organs of the squid are mixed with 10 percent salt and 30 percent malted rice. This mixture is bottled in an airtight container and kept for a month for fermentation. This salty and viscous seafood is eaten as a pickle in Japan. In Japan Shio means salty and Shiokara means the color of the abdomen. Shiokara is made from a wide variety of fishes. In other words, Japanese Shiokara is of many types, like Ika no shiokara - from cuttlefish “squid” , Hotaruika no shiokara - from firefly squid ,Katsuo no shiokara - from bonito ,Kaki no shiokara - from oyster ,Konowata no shiokara - from curryfish (a sea cucumber) ,Uni no shiokara - from sea urchin roe and Ami no shiokara - from shrimp . Shiokara is very simple to make. Invariably on menus, product labels, "weird foods" websites and on "Fear Factor" it's described as "fermented squid with the guts". I'll have to admit that it's an accurate name, but not very marketing-friendly nor indicative of the wonderful taste that one should expect. I'd rather think of it as prepared squid with it's liver. And guts? Well I don't know what's what in squid anatomy, but my guess is that by looks and taste that most of the "guts" of the squid by volume comes from this one huge sac-like structure that I'm guessing is the liver. Surely that's what it tastes like to me, and liver is the predominant taste in the shiokara. Here's how my Mom taught me to make it. It's very simple. Just take a fresh whole squid, available locally at Mitsuwa or Nijiya, and carefully remove the head. Pull out the ?quill?, a plastic-like structure that runs the length of the squid. Also remove the beak where the legs come together. Carefully without bursting it remove the aforementioned sac-like structure, which I assume is the liver. Now remove the skin-like outer membrane that covers the entire outside of the squid. This part can be a little tricky and time-consuming. I'll often do this under running water and use my fingernails to start a small tear in the membrane and then with my fingers try to peel a larger section off. I've heard that the trick is to start at the tip of the head end and peel down, but your mileage may vary! Mix it up and keep refrigerated in a sealed container. It improves in taste after a stint in the refrigerator. A kind of shiokara 塩辛 pickles. The winter in Echigo is especially severe with a lot of snow.
. WKD : moshio, mojio 藻塩 Salt with seaweed . Food is simmered in a broth made of soy sauce and vinegar. This kind of perparation is liked in summer, when the appetite is low. Chicken meat is well suited, so are radish, potatoes and other vegetables. Chicken meat, potatoes, and boiled eggs can be simmered together. 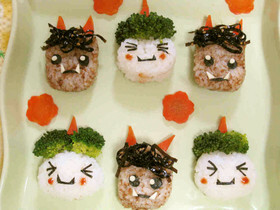 Westerners eat sandwiches, Japanese eat onigiri. It is one of the favorite outdoor snacks. When kneading onigiri, you add a little salt to the palm of your hand to add some flavor to the food. tejio ni kakeru 手塩, "hand-salt", which is also an expression for a child or a plant or something that you bring up with utmost care. The first mention seems to be already in the Genji Monogatari by Murasaki Shikibu. is a snack of Japanese rice formed into triangle or oval shapes and wrapped in nori (edible seaweed). Traditionally, the onigiri is filled with pickled salted plum fruit (umeboshi), salted salmon, bonito shavings, katsuobushi, or any other salty or sour ingredient. In practice, pickled filling is used for preservation of the rice. Since the onigiri is one of the most famed and popular snacks in Japan, most convenience stores in Japan stock onigiri in many popular fillings and tastes. Specialized shops, called Onigiri-ya, offer handmade rice balls for take out. The Murasaki Shikibu Nikki, the diary of the Lady Murasaki, writes of people eating rice balls during her time, the eleventh century. The rice ball was called tojiki (tonjiki) and often consumed as an outdoor picnic lunch. Writings dating back as far as the 17th century tell us that many samurai stored rice balls wrapped in bamboo leaves as a quick lunchtime meal at war, but the origins of onigiri are much earlier. Before the use of chopsticks became widespread in the Nara period, rice was often rolled into a small ball so that it could be easily picked up. In the Heian period, rice was also made into small rectangular shapes called tonjiki (頓食; とんじき), so that they could be piled onto a plate and easily eaten. 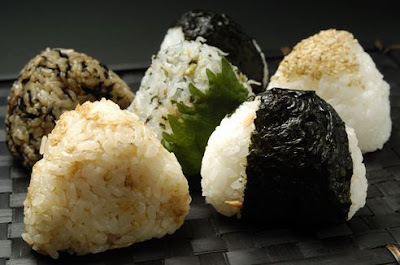 From the Kamakura period to the early Edo period, onigiri was used as a quick meal. This made sense as cooks simply had to think about making enough onigiri and did not have to concern themselves with serving. These onigiri were simply a ball of rice flavored with salt. Nori seaweed did not become widely available until the Genroku era during the mid-Edo period, when the farming of nori and fashioning it into sheets became widespread. It was believed that onigiri could not be produced with a machine as the hand rolling technique was considered too difficult to replicate. In the 1980s, a machine that made triangular onigiri was built. This was initially met with skepticism because rather than having the filling traditionally rolled inside, the flavoring was simply put into a hole in onigiri and this shortcut was hidden by the nori. Since the onigiri made by this machine came with nori already applied to the rice ball, over time the nori became unpleasantly moist and sticky, clinging to the rice. A packaging improvement allowed the nori to be stored separately from the rice. 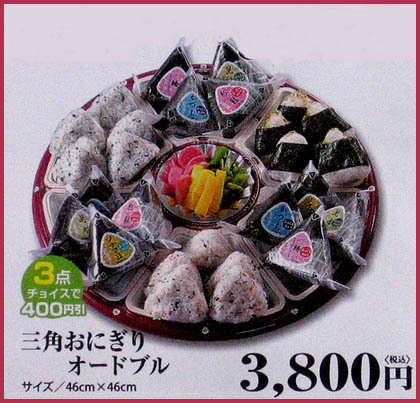 Before eating, the diner could open the packet of nori and wrap the onigiri. The machines' limitation that an ingredient was filled into a hole instead of rolled together with the rice actually made new flavors of onigiri easier to produce as this cooking process did not require changes from ingredient to ingredient. O-musubi and O-nigiri is not a form of sushi, despite common misconception. While o-musubi is made with plain rice (perhaps lightly salted), sushi is made of rice with vinegar added. O-musubi is merely a method of making rice portable and easy to eat, while sushi originated as a way of preserving freshwater fish. celebrating the rice ball ! Musubi-Maru from Sendai - after the Earthquake in 2011. Usually a large sheet of nori seaweed is wrapped around the rice ball. 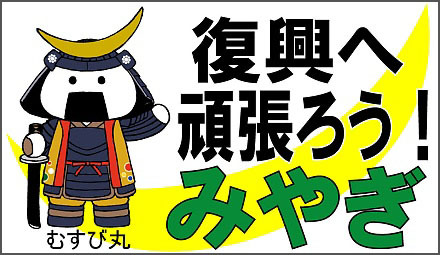 But in Kansai, a small sheet of ajitsuke nori 味付けのリ is used. The nigiri are short rolls, with the nori as a band around them. musubi with a monaka wafer outside. The wafer is made from mochigome dough and some sprinkles of nori. They come in different colors and flavors, like normal musubi. Sold in department stores in Hyogo prefecture. Tempura is a traditional dish consisting of shrimp, fish, and vegetables dipped into a batter of eggs, flour, and water and then deep-fried. Although it is usually served with rice and a dipping sauce mixed with grated radish, a restaurant owner in Tsu, Mie Prefecture, just over the Aichi border, came up with a new twist back in 1953. The tempura was not offered as a separate dish but placed inside a ball of rice and wrapped in nori (thin, crispy dried seaweed), thus creating a tempura o-musubi--a traditional meal for travelers and others on the go. This was easier said than done, though, for there was the problem of how to get the sauce--a mixture of soy sauce, mirin (sweet sake), and dashi (stock)--inside the ball of rice. Tempura without this seasoning would taste too bland. And if the tempura was dipped in sauce beforehand, the extra liquid would cause the o-musubi to fall apart. Given the wealth of natural spices and flavors available in Japanese cuisine, though, the tempura shop owner knew a carefully balanced mixture could be added to the batter that would provide sufficient lift for the tempura, even when consumed hours later. For instance, one could try mitsuba (Japanese wild chervil), shiso (beefsteak plant leaf), togarashi (cayenne pepper), or yuzu-no-kawa (chopped citron peel), in addition to the normal sauce and grated radish. The owner experimented for three years before settling on the "perfect" formula. The owner admits using mitsuba and some form of sauce, but the full list of ingredients, unchanged for over 40 years, is a well-kept secret--the pride of its creator. Izakaya pubs also serve onigiri, usually eaten after the drinking time is over, shortly before going home. The 24 hour convenience stores also sell different flavors of onigiri. Their taste has improved greatly over the years and they are a favorite with young and old. Set of Onigiri from a local food shop. - CLICK for more funny photos !
. The Onipedia - Japanese Demons . yaku 焼く　... can have many translations in English and is used for a variety of dishes. Let us look at some famous yaku preparations. Usually they are called xyz-yaki 焼き. To do YAKU you can use a net over the grill or barbeque, a frying pan, frypan, or skillet, an oven toaster or an oven. broiling in English usually refers to heat from above. kiridashi shichirin 切り出し七輪 from the Noto peninsula 能登 are cut out of one piece of earth. They come in round or oblong forms for sanma fish.
. . . CLICK here for Photos of Noto Shichirin ! This method came to Japan via the Europeans at the beginning of the Edo period. Pieces are covered in a dough and fried as tempura or like this in a frypan. pass lightly over a flame, to make it crisp, for example nori seaweed. 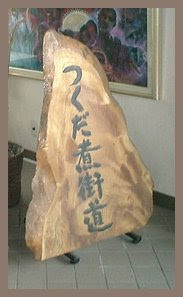 It is named after a Japanese gong (dora). It can be filled with many things. It is the favorit food of the manga character Doraemon, of course. seri- comes from zeni, the form of the old gold money, koban, zenifurai, serifurai which has the same form as this kind of croquette (kurokke) made from okara tofu and potatoes, deep fried. local specialities are grilled directly on the beach. Old method of the fishermen and divers to get warm. 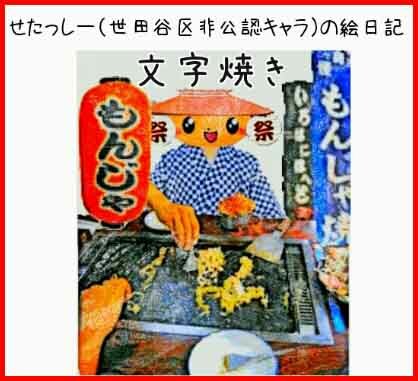 saba no hamayaki, さばの浜焼き, speciality of Fukui. たいの浜焼き tai no hamayaki is a speciality of Okayama.
. . . CLICK here for hooroku pot Photos ! The Murakami priates used this pot filled with explosives as a weapon, hoorokutama 焙烙玉. At the beach on the way from Kamakura to Enoshima. A special form is the onigarayaki 鬼殻焼き of lobsters as a whole. The back of the animal is cut open and some soysauce and mirin poored on it before grilling. The egg yoke is mixed with sake, mirin and salt, this mixture poored over the almost finished dish and then fried again. Especially for squid and ebi prawns, white fish and pork. Also called "golden fry" (oogon yaki 黄金焼き ). Mashed ingredients deep-fried in a breadcrum cover. Potato croquettes are most popular, but they come in many flavors in Japan. Pieces are seared with very little oil in a pan before stewing. yaki udon, yakiudon 焼饂飩 udon noodles slightly fried in a pan, mixed with other food. namban ... food preparations are usally "from the southern barbarians", introduced via Nagasaki from the Portugese around 1600. The word is also used for pottery from South Asia and China. O-kariba-yaki, okaribayaki お狩場焼き (おかりばやき) in-the-field dish for hunting parties. The shogun of Edo had his own kariba hunting grounds around the city. Okonomi-yaki, okonomiyaki お好み焼き (おこのみやき)"Japanese Pizza"
They come in a style from Osaka and one from Hiroshima. Often yakisoba are added to it to give it more volume. Served with a lot of Aonori and mayonaise. A fried egg is also served with it. Osaka is sprinkled with red vinegar-ginger (benishooga) and lots of katsuobushi flakes. monjayaki もんじゃ焼き　is another term. It is made without flour, only yamato-imo yam 大和芋. a kind of monjayaki もんじゃ焼.
. Okonomiyaki - Hiroshima style . 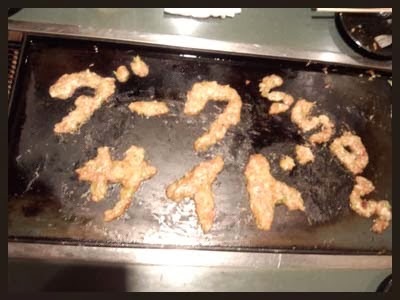 mojiyaki　文字焼き　"frying letters", letting the dough drip from a spatula (shamoji) onto the hot pan, giving it patterns like letters. This is the fore-runner of okonomiyaki. Most Monjiyaki-ya in Edo opened their stalls (yatai) during the many festival days of temples and shrines.
. Seriyaki 芹焼 (せりやき) dropwort stew with duck . Often used for whole fish on sticks, like ayu trout over charcoal. Röstenmit Salz; Braten mit Salz. 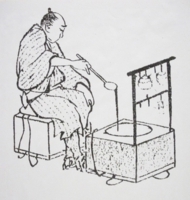 Sugiyaki 杉焼 (すぎやき)"preparing food in a cedar box"
"food prepared on a spade"
. . . CLICK here for warishita Photos ! in the form of a sea bream (tai). A favorite for festival stalls. In restaurants, the cooking can be done on a large iron plate (teppan) on the counter or on indivitual hot plates for a group of guests for socializing while eating. The fried ingredients, mostly meat, fish and vegetables, are dipped in a special sauce, often the secret of a restaurant. Meat can be marinated before grilling. Steak, shrimp, okonomiyaki, yakisoba, and monjayaki are prepared on these iron plates. The originator of the teppanyaki-style steakhouse is the Japanese restaurant chain Misono, which introduced the concept of cooking Western-influenced food on a teppan in Kobe in 1945. They soon found that the cuisine was more popular with foreigners than with the Japanese, who enjoyed both watching the skilled maneuvers of the chefs preparing the food as well as the cuisine, somewhat more familiar than more traditional Japanese dishes. As the restaurants became popular at tourist spots with non-Japanese, the chain increased the performance aspect of the chef's preparation, such as stacking round slices of onion in the shape of Mount Fuji and lighting alcohol (usually sake) contained within on fire, producing a flaming onion volcano. In Japan, many teppanyaki restaurants feature Kobe beef. Side dishes of mung bean sprouts, zucchini (even though zucchini is not a popular vegetable in Japan and rarely found in the market), garlic chips or fried rice usually accompany the meal. Some restaurants provide sauces in which to dip the food. However, in Japan, only soy sauce is typically offered. teppoo yaki, teppooyaki, teppoyaki 鉄砲焼き "hot gun grilling"
fish or meat is wrapped in red hot pepper miso paste and grilled. Often used for chicken. Teriyaki chikin, done in a frypan. usukuchi shooyu, thin soy sauce is best, because it gives a natural glaze and is saltier than normal soy sauce, so it can be used sparcely, but effectively to give a strong umami taste to the food. Yuan Yaki. Grilled fish or chicken a la teriyaki, first marinated in a mixture of light soysauce, sake and mirin, with lots of yuzu juice. This marinade was first used by the gourmet, monk and tea master Kitamura Yuan (Yuuan) 北村祐庵 / 堅田幽庵(1648 - 1719) of the Edo period. His name was also 道遂。幽安・幽庵・柚庵. He was the son of a rich family in Katata, Otsu, Shiga prefecture. He was one of the four great disciples of Sen Sotan 千 宗旦 (Sen Sootan) and learned also from Fujimura Yoken 藤村庸軒 (Fujimura Yooken). He also designed the famous garden Isomeshi Teien 居初氏庭園 in Otsu, Isomeshi's Garden . method of cooking/grilling/roasting on a ceramic plate. The plates keep the food warm for a long time.Used for seafood and meat. fish with some sprinkles of salt. Oil is not used in tradtional Japanese yakimono. Grilled fish served in formal banquets was only eaten from the top side. It was bad manners to turn the fish around and eat the bottom side as well. I wonder if this is done on a charcoal grill or in a frypan. And did the folks of Edo use frypans? How did they call it? Or when did it first show up in a frypan fried with oil? grilling fish for a short time to change color on the outside, serving as sashimi. yaki-doofu, yakidofu, yaki toofu 焼き豆腐 momen firm tofu which is slightly browned on both sides by broiling. For the New Year, nishime, ni-shime 煮しめ is prepared, a yakidofu piece cooked in sweatened soy sauce together with other ingredinets.
. . . CLICK here for NI-SHIME Photos ! Korean-style barbecued beef is quite popular too. Korean barbeque. Japanese barbeque. Many restaurants specialize in this kind of food for a group of people to enjoy whilst socializing. Other Korean dishes are Bibimba ビビンバ and Kimchee キムチ kimuchi, kimchi. yaki-shimozukuri, yakishimozukuri 焼き霜作り "frost grilling"
used for sashimi raw fish to grill it just a second until it changes color. Dipped in ice water after grilling. Also helps to get extra moisture out of frozen fish. Often used for katsuo and tai. Sometimes the skin of the fish is left on one side. table salt. Also used when baking in an earthware pan (hooroku). Through the baking process the magnesium chlorid in the salt turns to magnesium oxide and takes out the bitterness of food. literally "fried noodles in sauce", is considered a Japanese dish but originated in China and is technically a derivative of Chinese chow mein. and more . Regional yakisoba dishes . 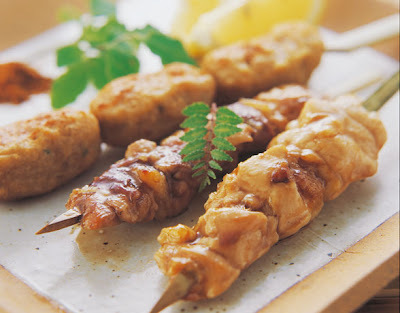 yaki-tori, yakitori やきとり (焼き鳥) grilled (barbecued; broiled) chicken on a skewer. A favorite dish at the izakaya restaurants. of the outdoor cooking stove .. The meat is cut to bite-sizes and powdered with katakuriko starch or wheat flour. It is then deep-fried. The flour is sometimes flavored with garlic. The meat is not marinated before powdering. The preparation is similar to KARA-AGE. For this method, the meat is first marinated in soy sauce and mirin, and then powdered with katakuriko starch only. Any kind of meat or other ingredients can be used with these two methods. Sometimes even dried plums (ume-boshi) are prepared in this way. The color of chicken fried "a la Tatsuta" reminds of the red leaves along the Tatsuta River 竜田川 in Kyoto and the princess Tatsuta-Hime. Heat the oil. Toss in enough cornstarch into the marinated chicken so that each piece is completely coated. Fry the chicken pieces a few at a time until a deep golden brown. Drain well, and eat with a squeeze of lemon juice. 1 Cut chicken into bite-size square and marinate in a mixture of soy sauce, sake, and sugar for at least 1 hour. 2 Drain chicken, roll pieces in cornflour, and set aside for 10 minutes. 3 Heat oil to 350 degrees F in a deep pan. 4 Fry chicken in small batches for about 2-3 minutes or until golden brown and crisp. 5 Drain on absorbent paper and serve hot.